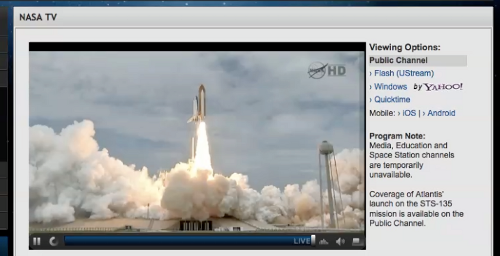 Just watched the live launch of the Space Shuttle Atlantis on NASA TV. Congratulations to the entire team for a safe take-off and successful orbit. The last flight in the programme. Beautiful. Bittersweet. I cried like a baby. Safe trip.